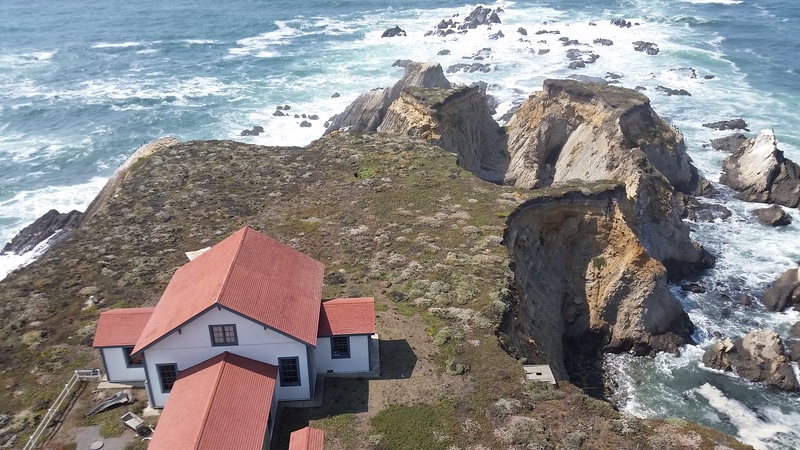 Lighthouse Tours - Point Arena Lighthouse Keepers, Inc.
Come climb 115 feet up the 145 steps from the ground, up the spiral staircase with four landings to the top of the tallest Lighthouse on the West Coast that is open to the public to climb. 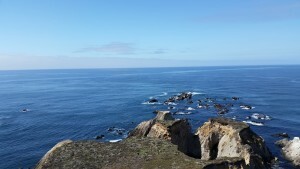 * At the top guests are greeted by breathtaking 360 degree views as well as a Tour Guide who leads an interactive session about the geography surrounding the lighthouse, the ocean topography, sea life and more. To urs of the Lighthouse are offered daily. Lighthouse Tour Admission is $7.50 for adults, $1 for children 5-11 years, under 5 free and includes admission to the Museum, a Tower Tour and access to our 23 acres of trails and grounds. (PLEASE NOTE: The last Tower Tour is at 3:15 p.m. (4:15 p.m. Memorial Day through Labor Day). 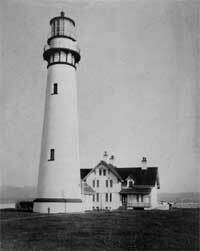 The grounds, Museum and Gift Store are open until 3:30 p.m.
* The Pigeon Point Lighthouse equals the height of the Point Arena Lighthouse, but is not open to the public for a “climb to the top.” The original Point Arena Lighthouse was the twin of the Pigeon Point Lighthouse, but it was irreparably damaged in the 1906 earthquake and replaced by the current tower that was completed in 1908. 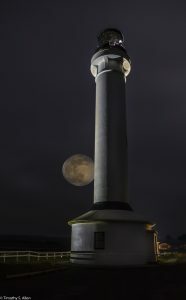 Point Arena Lighthouse Full Moon Night Tours! Come experience a spectacular night time view from atop the Point Arena Lighthouse. Enjoy a panoramic view of the sea and coast from the lantern room at the top of the Tower, and if the weather cooperates it will be illuminated by the full moon! Our docents and guides will help you experience what it was like to be a Lighthouse Keeper and climb the Tower at night. 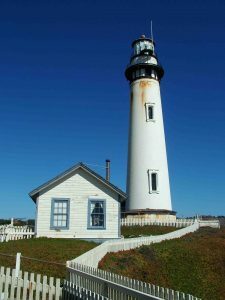 They will guide you on your journey into the past and explain the unique history of this historic landmark, the tallest lighthouse on the West Coast. Champagne, sparkling juice and snacks will be served as part of the tour, and you get to take home an etched Point Arena Lighthouse champagne flute as a souvenir of this unique experience! Reservations must be made by phone at at 877-725-4448 ext. 1 or 707-882-2809 ext. 1 or in person no later than 3:30 p.m. three (3) days before the date of the event.